Pacific Health Insurance is actually known as PacificSource Health Plans. PacificSource Health Plans are a not-for-profit organization that insures individuals in Oregon and Idaho. Get online health insurance quotes from active providers by typing your zip code into the free rates tool now! PacificSource Health Plans provide medical, dental, vision, and pharmaceutical coverage. The coverage offered includes long-term coverage as well as short term. PacificSource Health Plans hold the contract on the state of Oregon’s health care coverage for children who would otherwise not have insurance. The Healthy KidsConnect Policy offers health insurance to children of families whose income falls below a certain level. Interested Oregon residents can apply by downloading the application or by calling PacificSource Health Plans at (877) 314-5678. PacificSource Health Plans offer Supplemental Medicare plans through its subsidiary, Clear One. PacificSource Supplemental Medicare plans are available either with or without prescription coverage. There are four different plans presented to interested policyholders that vary in copayment costs, hospital expenses, and pharmaceutical benefits. Residents of Oregon who are participants of Medicare Part A and B are eligible for the PacificSource Medicare coverage. The only exception to this rule is if you have a pre-existing condition involving kidney disease. Consumer Directed Health Plans are packaged with high deductible group or individual health plans. Health Savings Accounts allow money to be set aside pretax and used for medical expenses. Employees contribute to the account. The funds must be used up by the end of the fiscal year or they are forfeited. Health Reimbursement Arrangement Funds are established by the policyholder’s employer. The employer establishes a set amount to be deposited in your account for you to use for approved medical expenses. Flexible Spending Accounts are also available to employees who sign up for the program. Employees have the option of contributing pretax money into their Flexible Spending Accounts, but any monies that are not used at year-end will be forfeited. 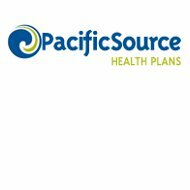 If you would like more information regarding PacificSource Health Consumer Directed Health Plans, they are all broken down on an easy to read chart on the company’s website. Medicaid plans are also available through PacificSource Health Plans. The Medicaid plans at PacificSource Health Plan do not require a copayment. There are two different plans available: OHP Plus Plan and OHP Standard Plan. PacificSource Health agents are independent agents who must meet certain requirements. Independent agents who carry PacificSource Health Plans as one of their products must stay current in licensing and personal insurance. They also must sell a certain amount of PacificSource products on a yearly basis and follow contract guidelines. PacificSource claims are filed from the health care provider’s office to PacificSource for approval and payment. Should you find a claim denied, you may contact PacificSource customer service at (800) 624-6052 to discuss or appeal the denial. If you are a PacificSource Medicare policyholder, and you experienced a claim denial or you need to make an appeal for a denied claim, you should call (888) 863-3637. You can also email the company at [email protected]. PacificSource Medicaid policyholders have their own devoted customer service representatives to call if a claim is denied. Policyholders should call (800) 431-4135. Regional offices are also located in Idaho in Boise and Idaho Falls. PacificSource Health Plans offers online account information through their website. You must establish a login and password to access your account information. If you are looking for health insurance that provides individual or group coverage or meets your Medicare or Medicaid needs, PacificSource might be the insurance company for you. You can compare health insurance companies now by entering your zip code into the toolbox now!